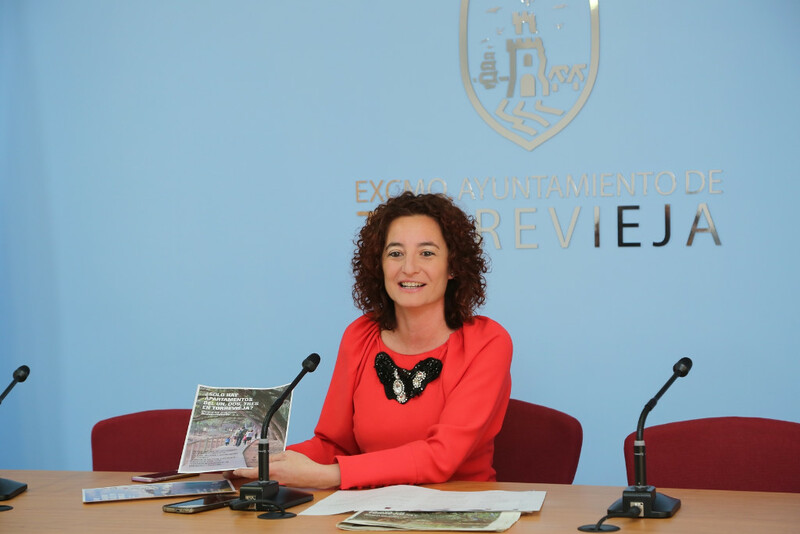 The Councilor for Tourism, Fanny Serrano, has presented the new tourism campaign for Torrevieja. The topics for which the municipality is known are used in this campaign as a way of drawing attention but have been turned around to show that Torrevieja is a perfect combination of beaches, natural heritage, gastronomy and many other charms. Beyond the belief that lying on the beach is the only thing to do in Torrevieja, the campaign launched by the Town Hall features a picture of the Natural Park of the Lagoons of La Mata and Torrevieja and another of a sailor at sea. In both cases the text accompanying the campaign refers to the Natural Park, history, gastronomy, Torrevieja as a pet-friendly place, water sports and the Habaneras and Polyphony International Contest. According to the councilor, the campaign has been launched after analyzing the data for domestic tourism which comes from Madrid, Basque Country, the two Castillas, etc. Since many tourists arrive by train, the campaign is to be featured in the Renfe Club magazine which has 1,600,000 readers with 30,000 copies distributed on high speed trains and AVE during the month of April. The campaign will also reach out to different locations in the Valencian Community and Costa Blanca and the neighbouring region of Murcia.